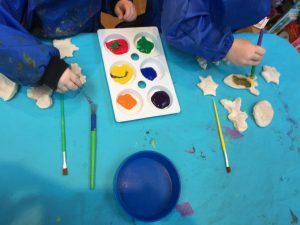 The boys are at the stage where they love making things, and have just enough attention span to accept that there might be stages to their creations. 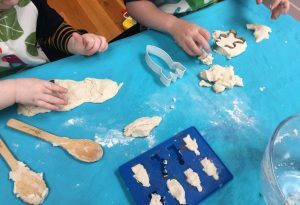 However, when I’ve tried salt dough in the past, they’ve lost interest at the point at which it needs to cook in the oven. 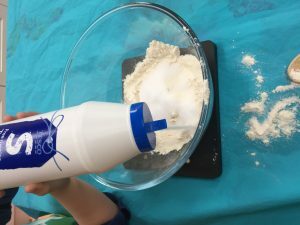 I found this recipe for salt dough that can be made in the microwave, and we had a great time with it! Though we did need a little extra flour and salt to get just the right consistency. 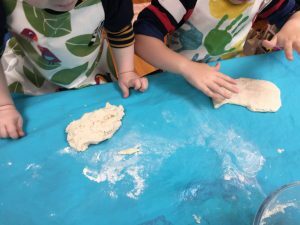 The boys loved the feel of the dough in their hands, and a good deal of time was spent just exploring the texture and ‘mashing it together’ in the words of my 4yo. We added a little bit of sunflower oil to the mixture so that it didn’t dry out – but not so much that it was greasy. 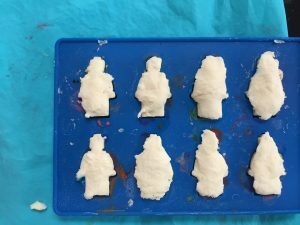 They then decided they wanted cookie cutters to make some shapes, and we also experimented making some lego men in our silicone mould. The lego men came out really well! 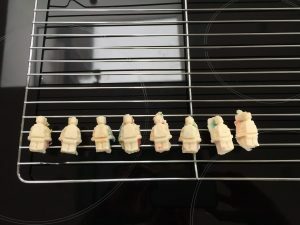 We found they only needed about 2 minutes in the microwave and then some cooling time. Once our creations had cooled, there was nothing for it but to paint. 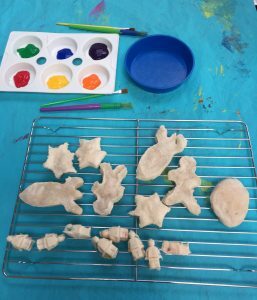 The results were hardly works of fine art, but the boys had a fabulous time doing it and really enjoyed and engaged with each stage. Great fun!